No one assumed traveling to Mars would be a particularly safe task, with space debris and supply shortages weighing on the minds of those brave enough to leave Earth. But another danger has now been revealed – cosmic rays which threaten brain damage. According to neuroscientists, the rays that permeate space can change the structure of neurons in the brain after long periods of exposure. This can result in dimensia-like impairments. In a study funded by NASA, mice exposed to highly energetic charged particles – such as those found in galactic cosmic rays – showed declines in cognition and damage to neurons and the synapses where nerve impulses are sent and received. According to Charles Limoli, a University of California-Irvine radiation oncology professor, humans would “without a doubt” face the same issues as the mice, because the particles in cosmic rays can travel through spacecraft and into astronauts' bodies. 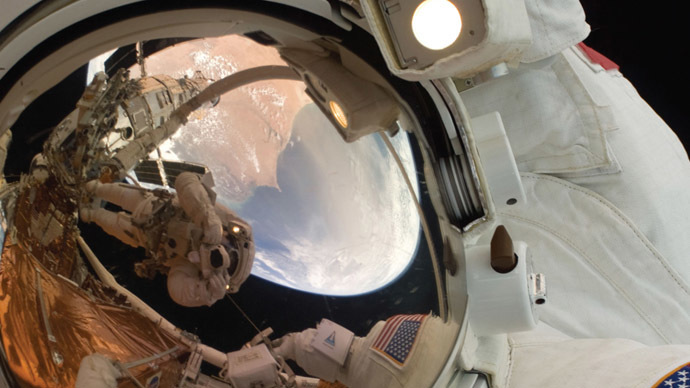 “Astronauts may incur cognitive impairments that lead to performance decrements, confusion, increased anxiety and longer-term problems with cognitive health,”said Limoli, whose study appears in the journalScience Advances. He added that this could leave astronauts less able to respond to situations and solve problems – an issue that could become life-threatening in an emergency situation. It's a risk that those of us on Earth don't have to worry about – because the planet is protected by its magnetosphere. The mice were genetically altered to have green fluorescent neurons to aid with analysis. They were exposed to the rays at NASA's Space Radiation Laboratory at the Brookhaven National Laboratory in New York, and analyzed six weeks later. In addition to changes in the neurons and synapses, the mice showed decreased performance in learning and memory tests. They also lacked curiosity and were slow-moving when participating in experiments involving toys placed in a box with them. The findings come as NASA continues to develop the capability to send astronauts to an asteroid by 2025 and Mars in the 2030s. According to NASA spokeswoman Stephanie Schierholz, a Mars mission would take at least 2.5 years: a six-month journey there, at least an 18-month stay on the planet, and a six-month flight back. Although humans cannot fully escape the harmful rays, Limoli says it may be possible to develop spacecraft with areas of increased shielding. Other options are also in development, including medicines that could help protect the brain from cosmic rays.